It’s no secret that Apple and Qualcomm have a tumultuous business relationship that has pretty much been crippled amidst the patent lawsuit and the banning of select iPhone models. In case you didn’t know, Apple only used Intel’s baseband chips in the iPhone XS, iPhone XS Max, and iPhone XR. The company is also said to bring MediaTek as a partner for 5G modems as long as what the manufacturer has to offer to Apple is ‘top of the line’. Even after the endless skirmishes, some analysts are of the opinion that Apple might still use Qualcomm’s 5G baseband chips for its 2020 iPhone lineup. In a research note obtained by MacRumors, analysts over at Barclays believe there’s a good chance Apple will have to use Qualcomm’s 5G modem in its 2020 iPhones. Unlike its Android competitors, Apple will reportedly launch iPhones with a 5G-ready status in 2020, but that will be a whole year after the tech giant has embraced the standard. 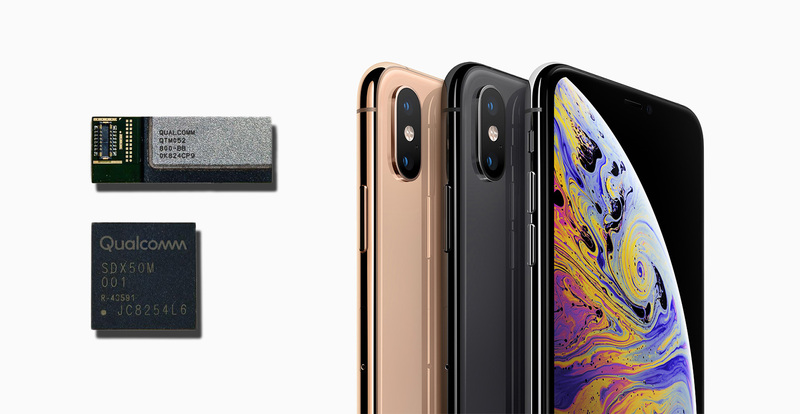 Intel recently announced its XMM 8161 5G modem, but Apple is reportedly displeased with the chipmaker’s results, and a report stated that Apple will most likely tap MediaTek to supply it with 5G baseband chips, should Intel fail to make amends. MediaTek earlier announced to provide affordable smartphone owners access to 5G connectivity with the launch of its Helio M70 5G modem. Analysts could be positive about Qualcomm and Apple turning over a new leaf because of the former’s expertise in 5G modem race, although it almost feels that Apple teaming with the manufacturer would be out of necessity. There’s a good chance that Qualcomm’s 5G modems will outperform similar offerings from Intel while also providing more reliability, thus forcing Apple to ally itself with the SoC maker. Of course, things are not yet set in stone but you have to think about what’s good for business. Despite Samsung and Apple being bitter rivals in the smartphone industry, the iPhone maker continues to incorporate the Korean giant’s OLED screens in its premium iPhone lineup. However, 2020 is still a good 11 months away, meaning that Apple could be changing its stance in the future. If you want to learn more about 5G, how it works and how it could change the industry in the coming months, make sure to check out our detailed explanation on the next-generation standard.